Oventus Medical Ltd (ASX:OVN) is pleased to announce that new clinical data from four separate studies on its Sleep Treatment Platform will be presented at Sleep DownUnder, the 30th annual meeting of sleep specialists, taking place in Brisbane between 17th -20th October. 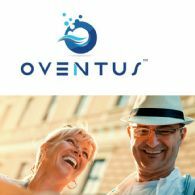 Oventus Medical Ltd (ASX:OVN) is pleased to announce the appointment of a Medical Technology Advisory Board of international sleep experts to help guide the development and commercialisation of the Company&apos;s Sleep Treatment Platform. 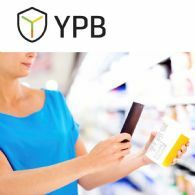 Anti-counterfeit and customer engagement solutions provider YPB Group Ltd (ASX:YPB) is pleased to announce further success with the joint "Cannabis Confirmed" initiative with the signing of an Authentication Services Agreement with Totem Vaporizers Inc., a leading vaporiser manufacturer in the cannabis industry. Anti-counterfeit and customer engagement solutions provider YPB Group Ltd (ASX:YPB) is pleased to announce that its channel partner in the legal cannabis industry, Namaste Technologies (CVE:N), has released its recreational cannabis market strategy to the TSX Venture Exchange. 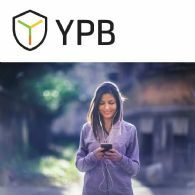 Anti-Counterfeit and Customer Engagement solutions provider YPB Group Ltd (ASX:YPB) has signed its first cannabis industry client in the USA and the second client since the launch of the partnership with Namaste Technologies (CVE:N). YPB Group Ltd (ASX:YPB) provides the Company&apos;s Review of Q1 2018 Activities. Anti-Counterfeit and Customer Engagement solutions provider YPB Group Ltd (ASX:YPB) has signed its first client under its partnership with Namaste Technologies (CVE:N), leading Chinese vaporizer manufacturer Kingtons. 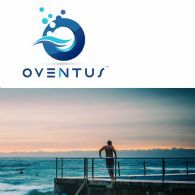 Oventus Medical Ltd (ASX:OVN) announces its Appendix 4C Report for the three-month period ending 30 June 2018 (Q4 FY2018) and is pleased to provide a review of progress made during the quarter. 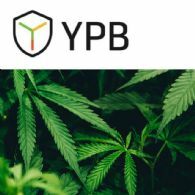 Anti-Counterfeit and Customer Engagement solutions company YPB Group Ltd (ASX:YPB) has signed a three year Master Supply Agreement with Namaste Technologies Inc (CVE:N) whereby the two Companies will exclusively work together leveraging Namaste&apos;s suppliers across the global cannabis industry and particularly those accessing Namaste&apos;s large and growing e-commerce customer base.